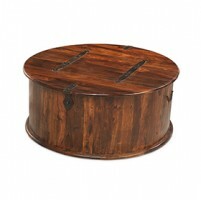 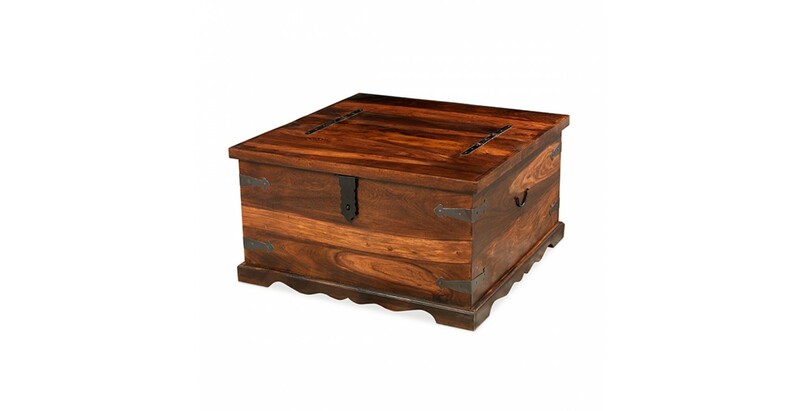 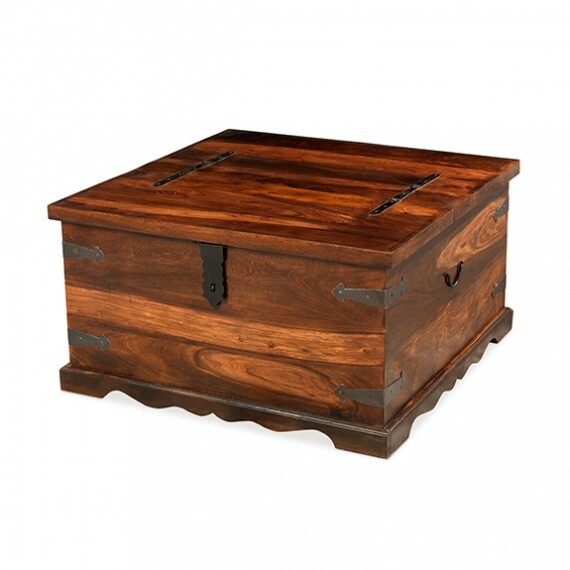 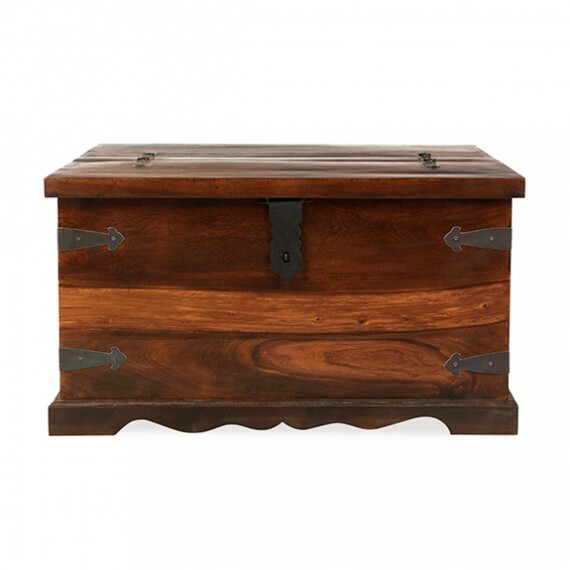 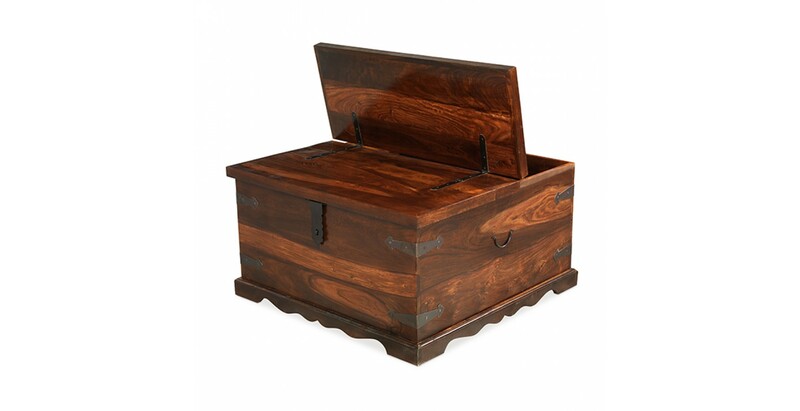 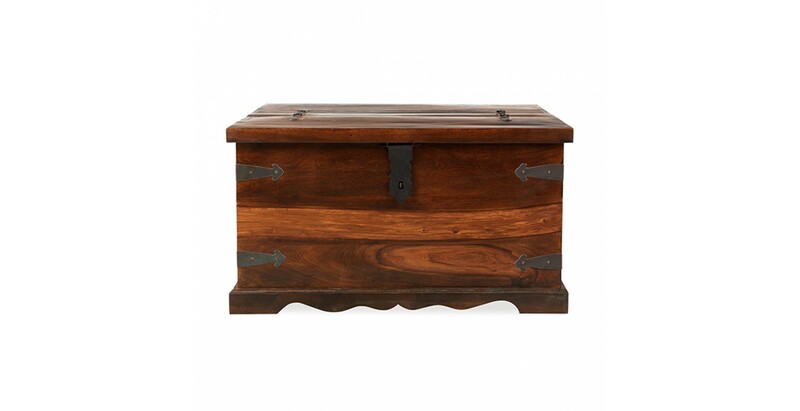 Superbly handmade by Indian craftsmen from dusky-hued sheesham wood, the colonial-style charms of this trunk are sure to be a talking point for visitors to your home. 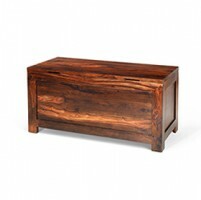 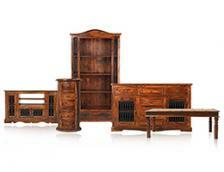 Adding character and warmth effortlessly; because it's been made by hand, every piece is a one-off. 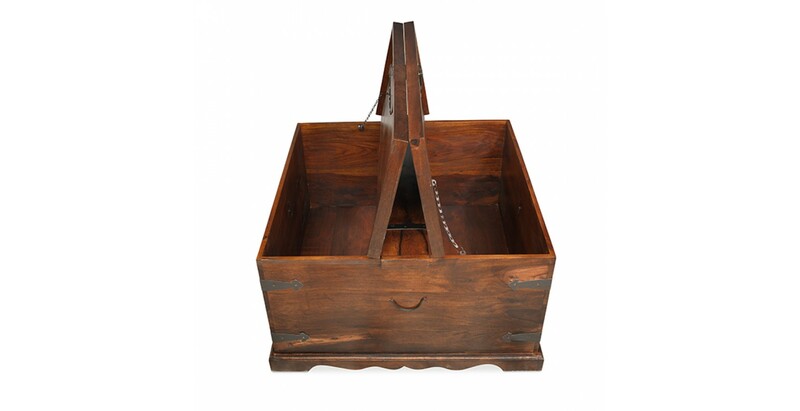 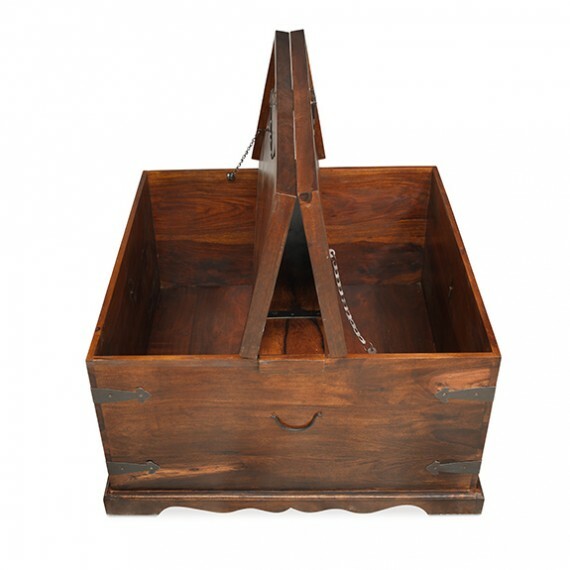 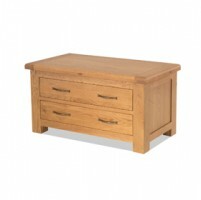 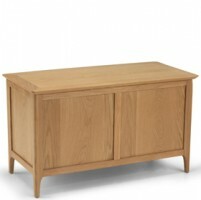 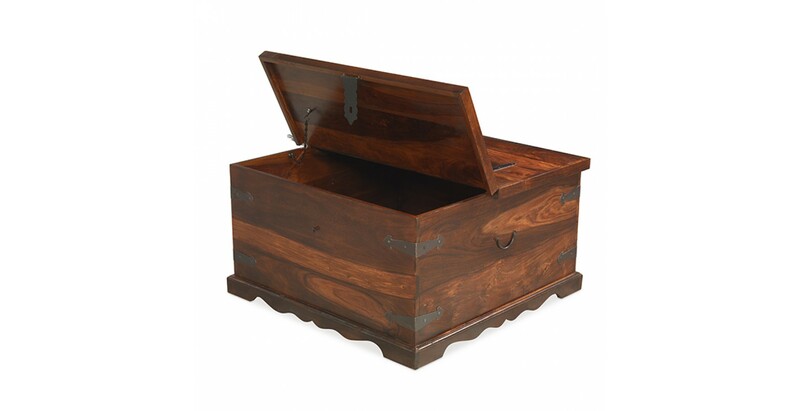 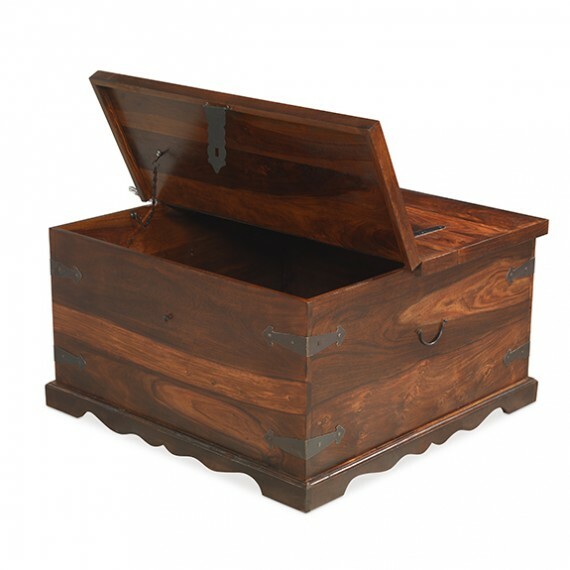 With a sturdy carved plinth, metal hinges, brackets and carry handles, and a lid that opens from both sides to reveal space to store books, bedding, games and more, it will be a beautiful and practical addition to a living room or a bedroom.